Mistaken, concealed, and assumed identities proliferate agreeably in this deftly paced debut thriller about a young reporter’s accidental involvement with an elaborate history of international intrigue. After graduating from a tony Connecticut liberal-arts college, Paul Tomm is hired by a local weekly newspaper and draws the assignment to write an obituary for Jaan Pühapäev, a reclusive Estonian academic, and a seemingly unlikely murder victim—as is the local coroner who examines the professor’s body. Acting on information provided by his own college mentor (ineffably urbane Professor Jadid), joining the latter’s policeman nephew, Paul meets effervescent music teacher Hannah Rowe (Pühapäev’s neighbor and friend), falls for her, then uncovers evidence of the dead man’s collusion with globetrotting jewel thieves. 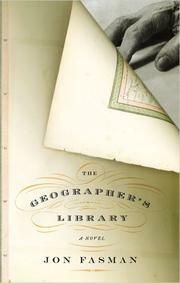 But there’s much, much more to the story, as we learn in juxtaposed parallel chapters that tell the story of an Arabic geographer-librarian commissioned by a 12th-century Sicilian monarch to map the entire then-known world, and of numerous invaluable objets d’art formerly possessed by the geographer (al-Idris), since sought by an expanding criminal cadre that has focused its energies on a legendary alchemical text (the Emerald Tablet), and whose searches had led to the late Pühapäev’s doorstep. It sounds maddeningly complicated (and will indeed test the most seasoned thriller-reader’s wits). But Fasman is equal to the daunting task, shifting at smartly judged intervals from Paul Tomm’s ingenuous pursuit of the truth to murderous quests for a pair of golden flutes, an ivory box in which the breath of an Estonian poet is “stored,” a deck of gorgeously hand-painted playing cards, and other treasures that lead toward the figure of sinister Russian naval commander (or spy, or perhaps smuggler) Voskresenyov, who surely cannot be as old as it seems he must be. Shades of Dan Brown, Edward Whittemore’s Jerusalem Quartet, and Milorad Pavic’s Dictionary of the Khazars: one of the year’s most literate and absorbing entertainments.